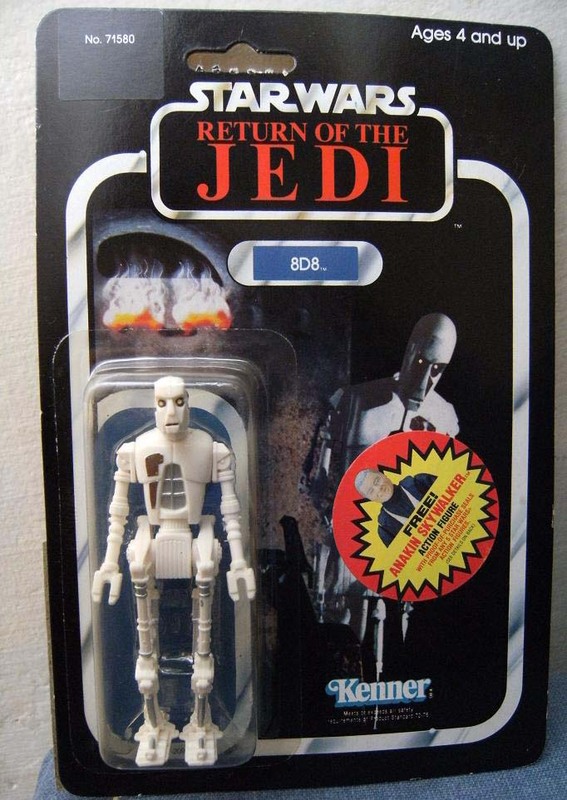 In 1983 Return of the Jedi Launched. 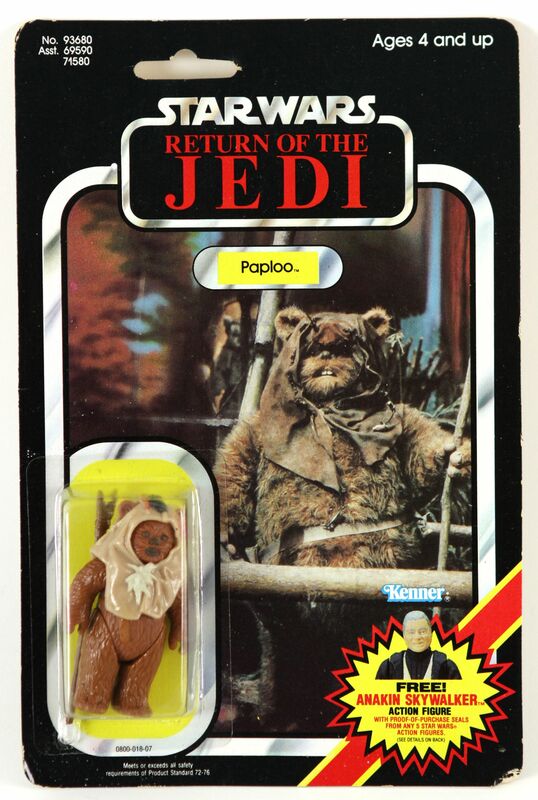 By this point the popularity was in decline. 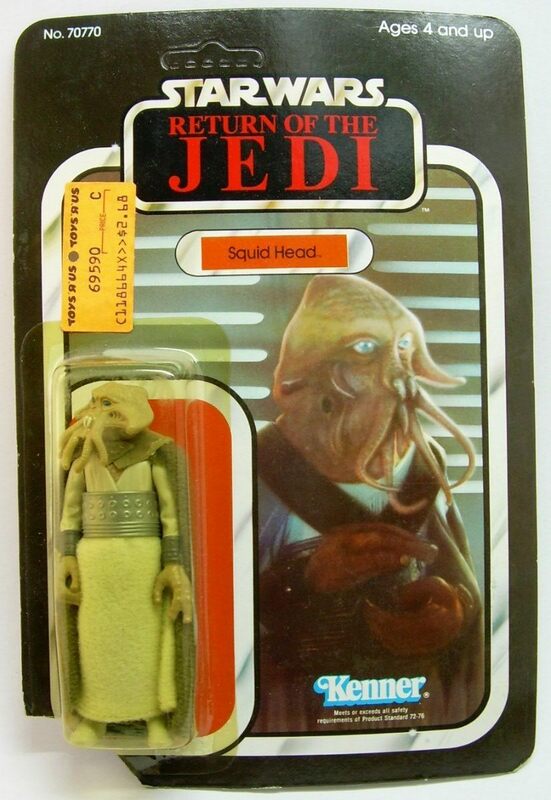 Appreciation for the third movie was lower than the second, dropping from a series high of 96% freshness down to 78. 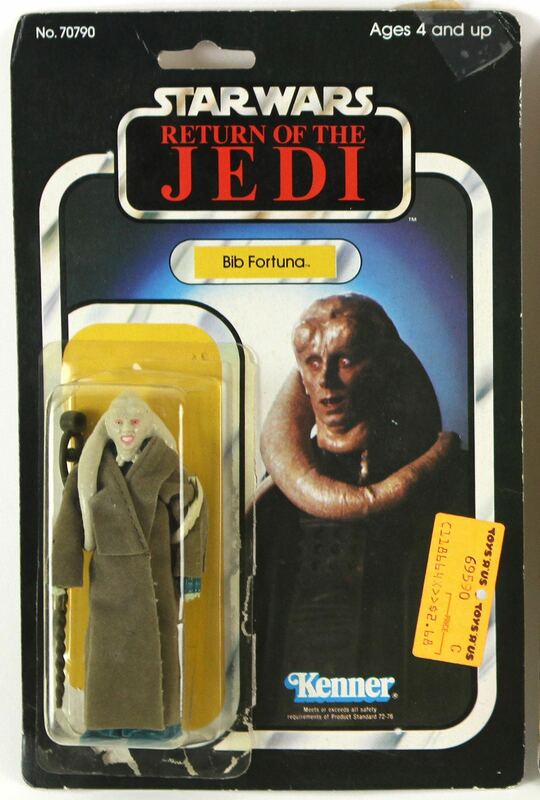 Box office takings were also lower. 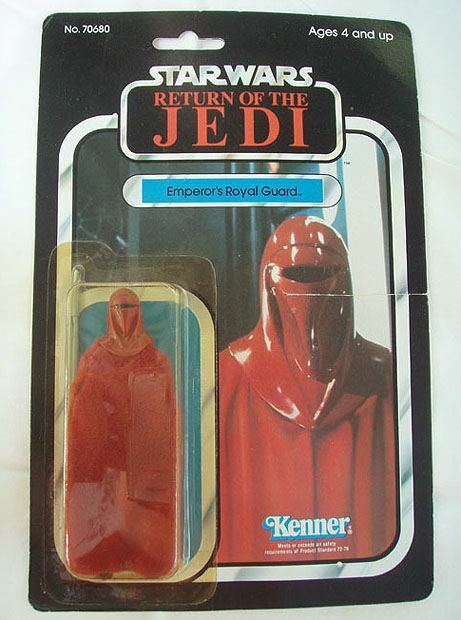 Kenner had made major advancements over the past six years from the simplistically sculpted first line and it was clear that like the films, the toys series was rounding off. 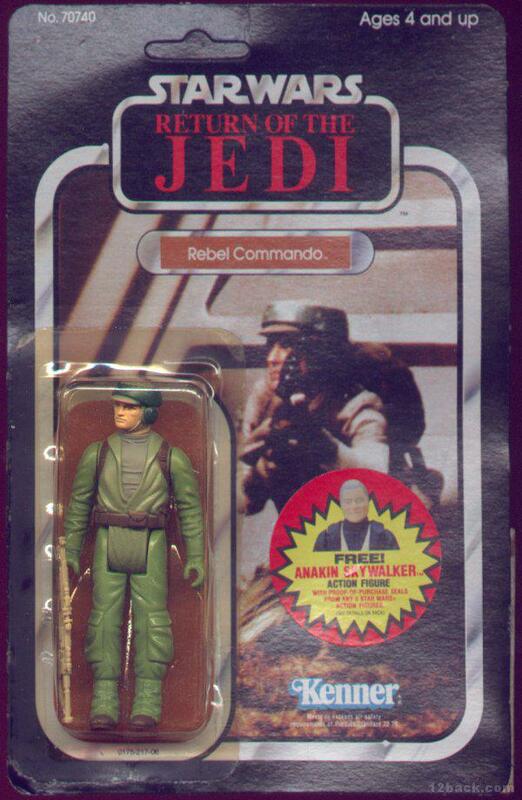 This as usual meant some of the best 31 figures in an ongoing line, but far lower sales. 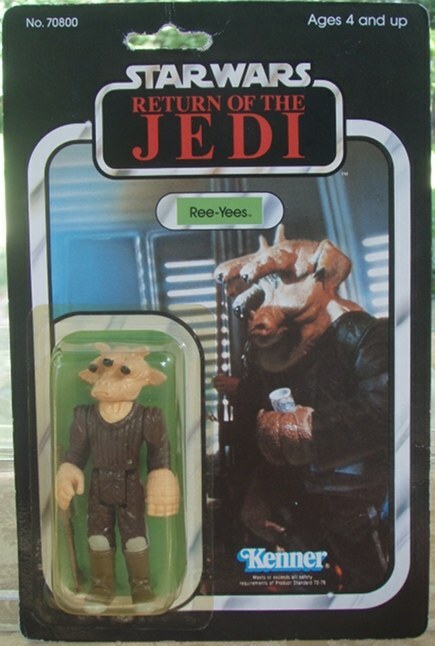 As a result the universal appeal of the Jedi line is lower, as is the demand. 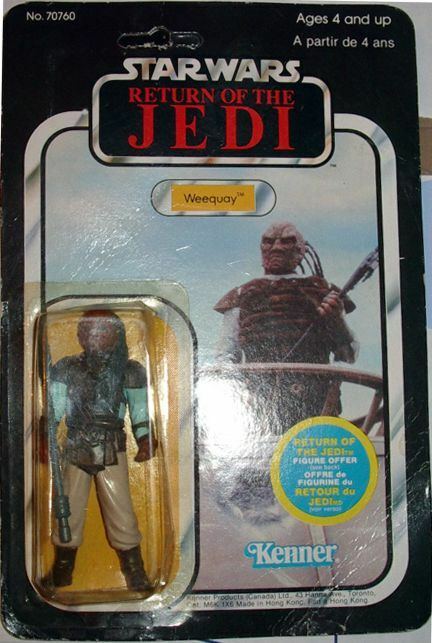 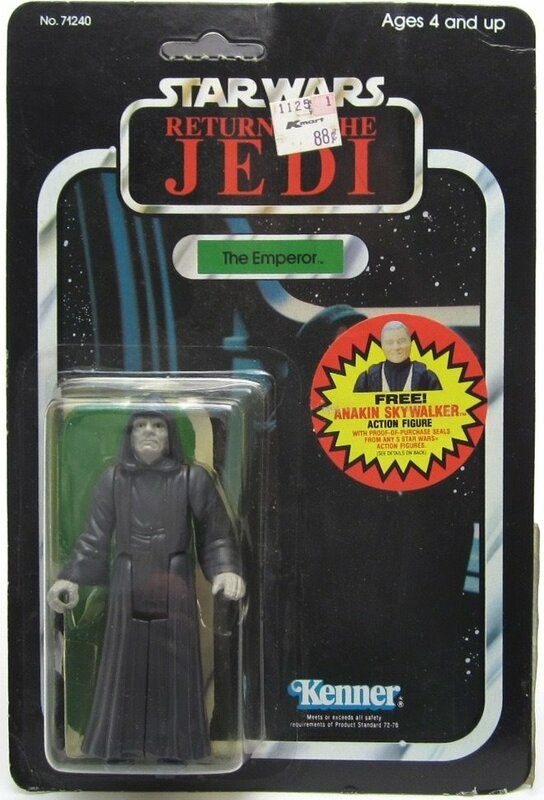 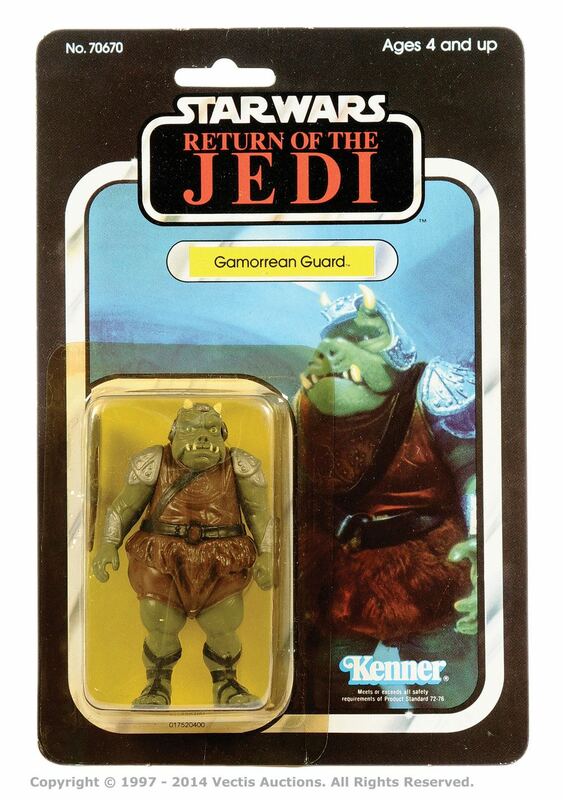 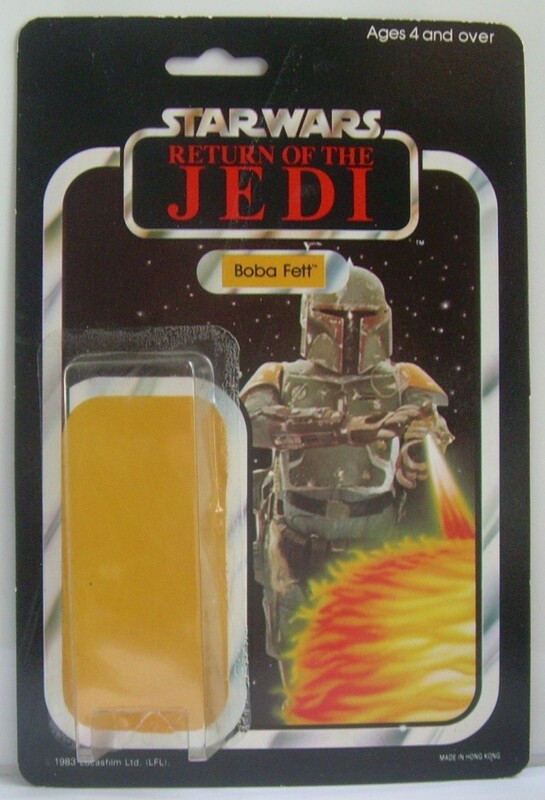 The original Return of the Jedi line had 31 carded figures. 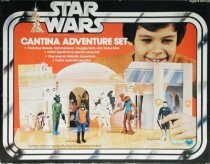 The first wave of 17 emerged on 65-back cards, being added to the existing 48 if you don’t count the earlier, more basic Artoo and Threepio. 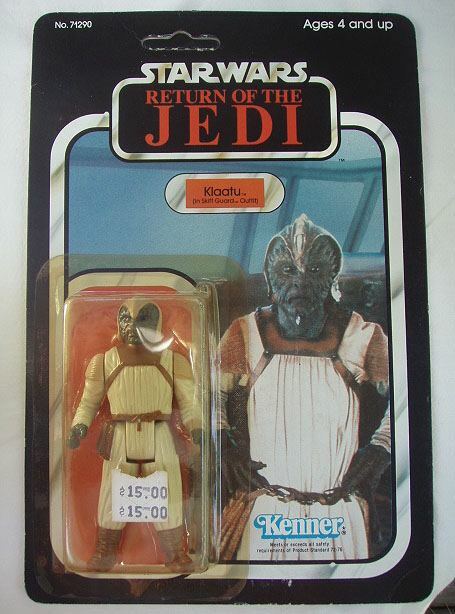 These two earlier figures were the only ones that never got Jedi cards, at least not in the USA and thus never got mentioned on the card backs. 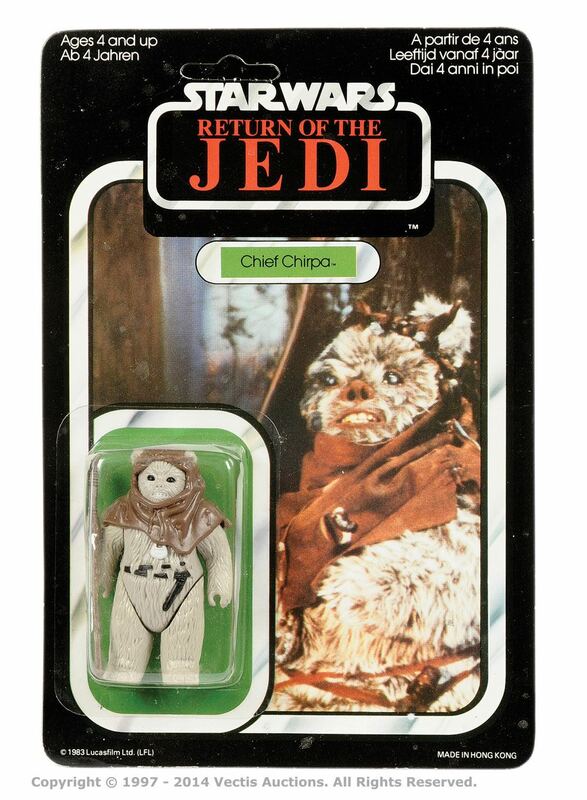 The Ewoks Logray and Chief Chirpa were blacked out, possibly to preserve the mystery. 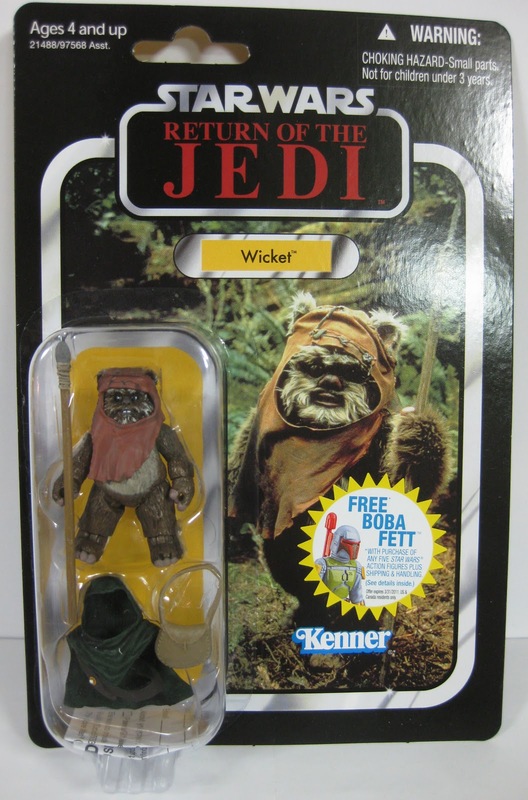 Strange that the same wasn’t the case for Yoda who was right there on the original wave 41-back Empire cards. 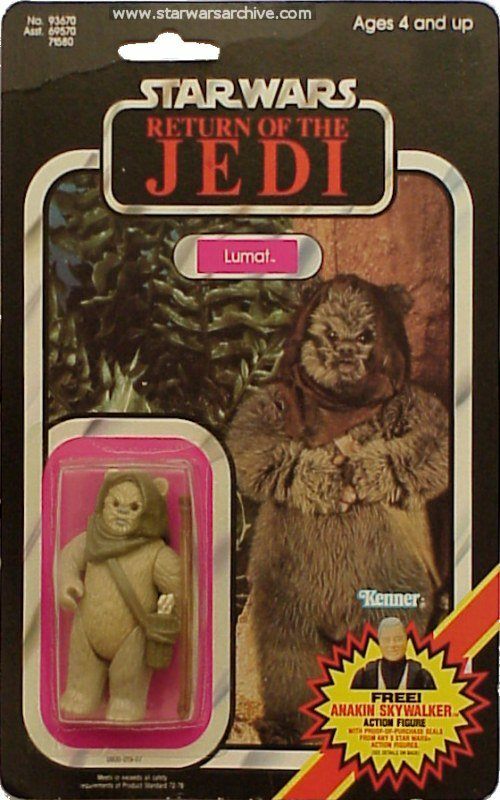 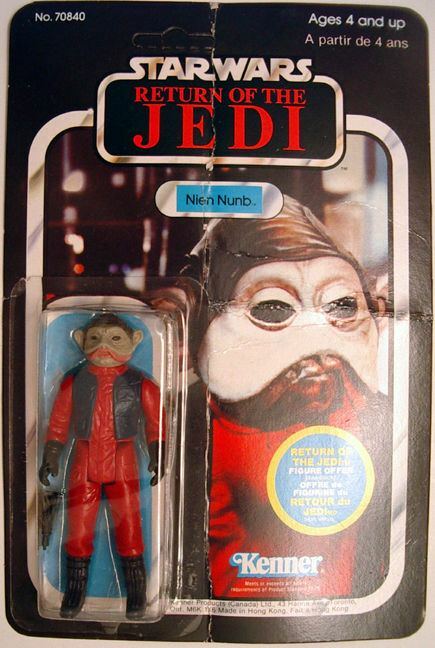 The remaining 14 Return of the Jedi figures were subsequently released on 77-Back cards, omitting ewoks Lumat and Paploo from the lineup, despite the fact that they definitely got Jedi cards. 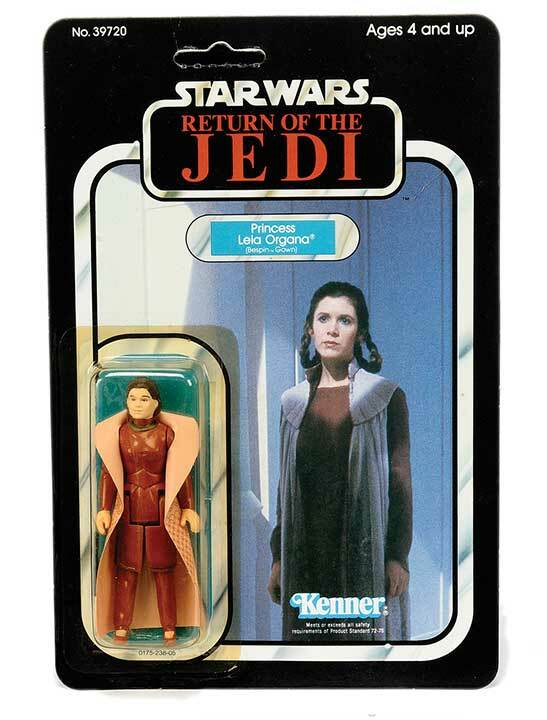 Half the Jedi figures never made it beyond that line, but thirteen made it through to Power of the Force. 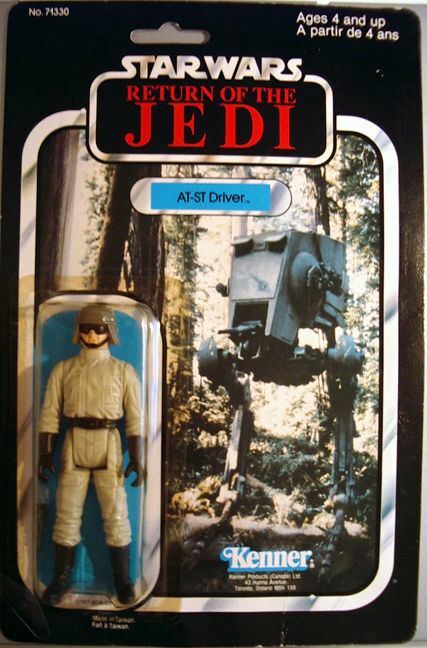 Variants here are again minimal, mostly colour-based and none massively more valuable than their standard alternatives. 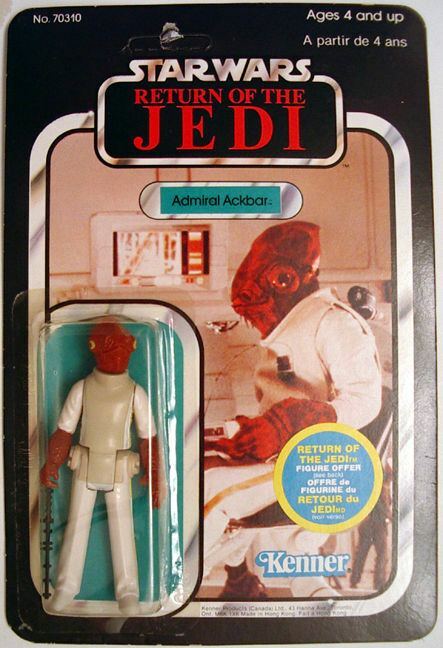 •	Admiral Ackbar has either a grey or cream vest. 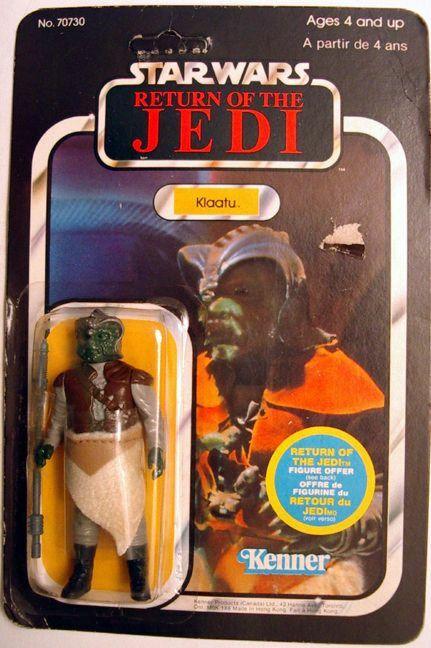 •	Klaatu has either a thick or thin skirt and occasionally tan arms. 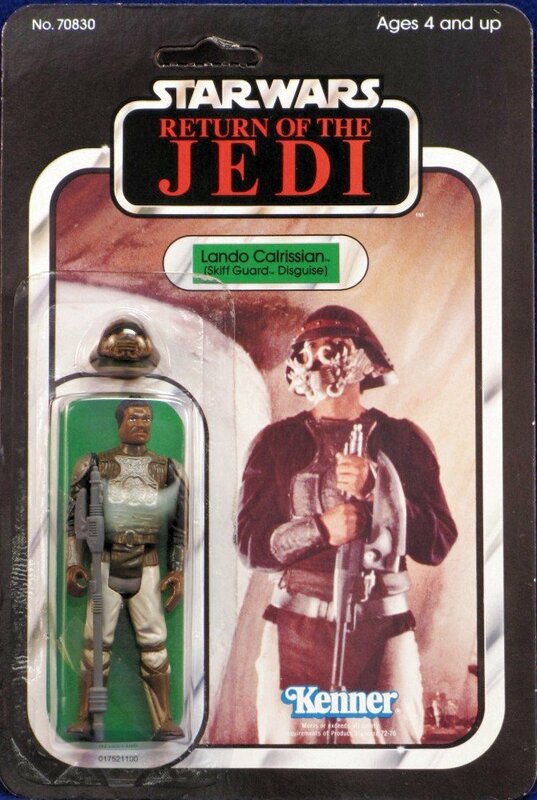 •	Lando in his skiff guard disguise has slightly different skin tones. 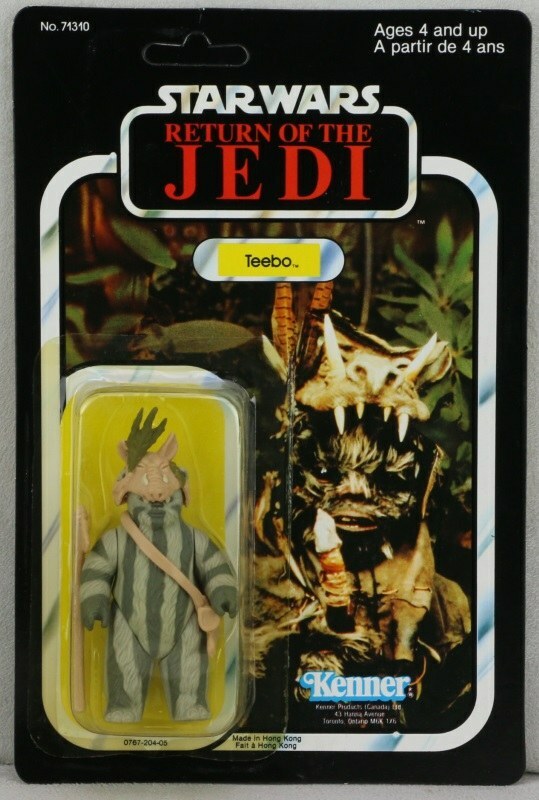 •	Logray and Teebo have slightly differing shades of fur. 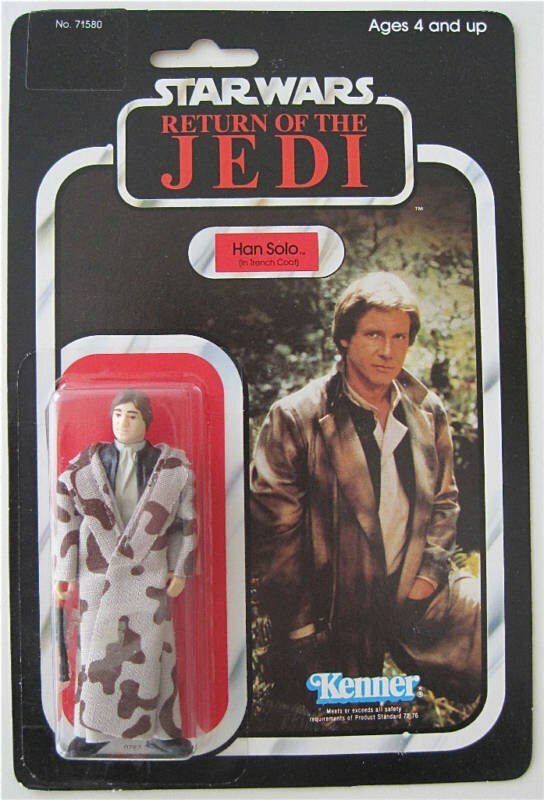 •	Han in his trenchcoat has either a plain or camouflage collar. 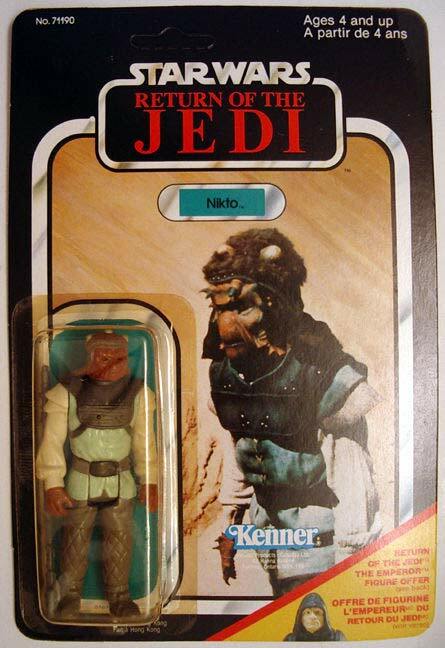 •	Max Rebo’s band comes with either grey or black instruments. 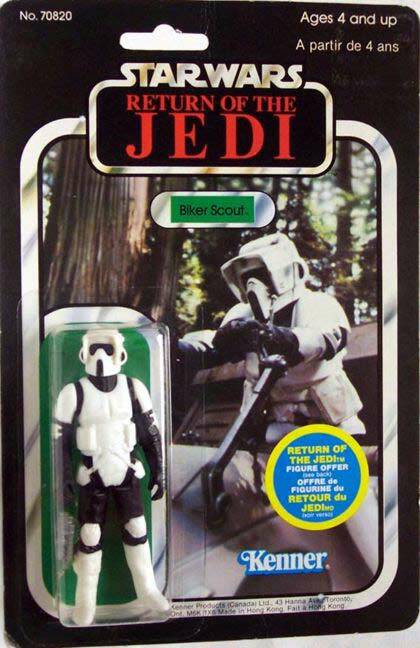 •	The Biker Scout has either a tall or a short black stripe on his faceplate. 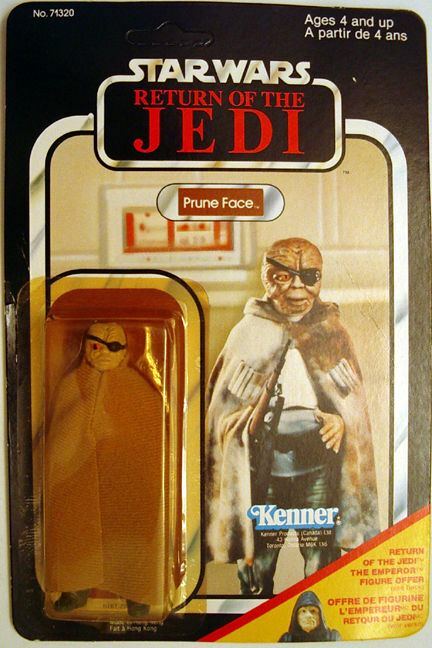 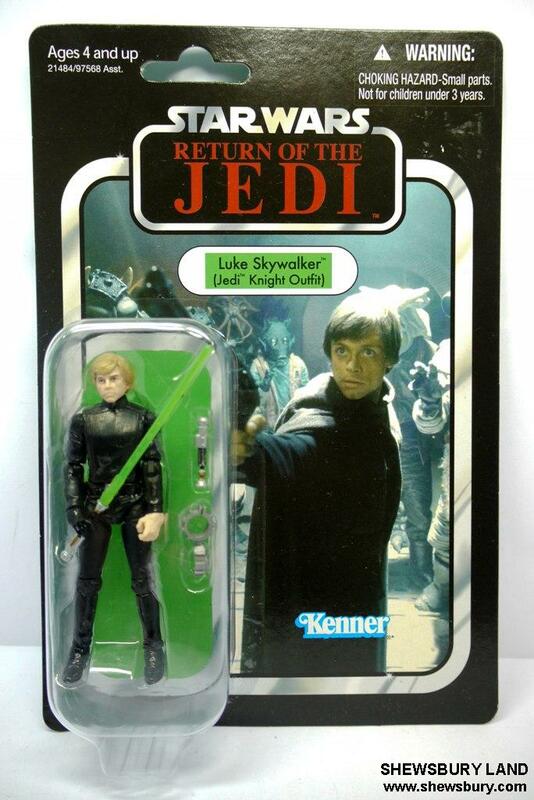 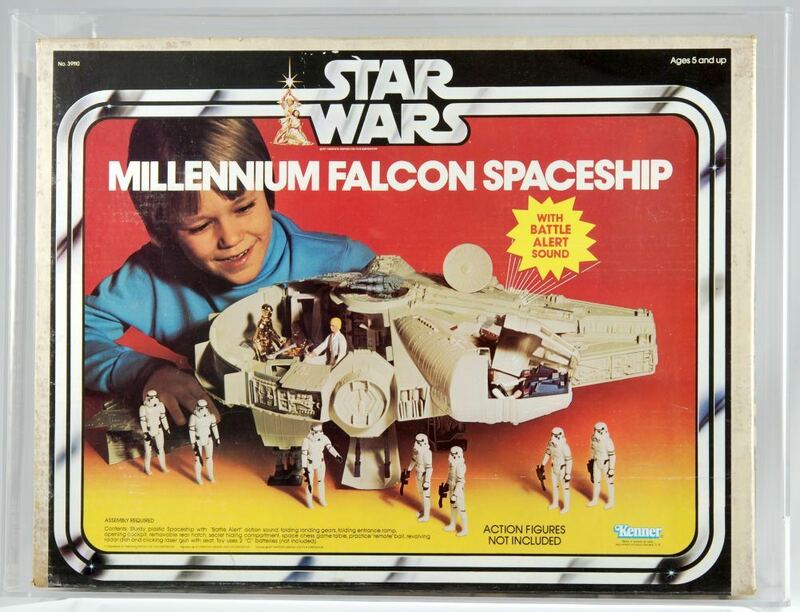 •	The earlier Luke in Jedi outfit has the blue lightsaber until someone at Kenner must have mentioned that he had a GREEN lightsaber in the movie. 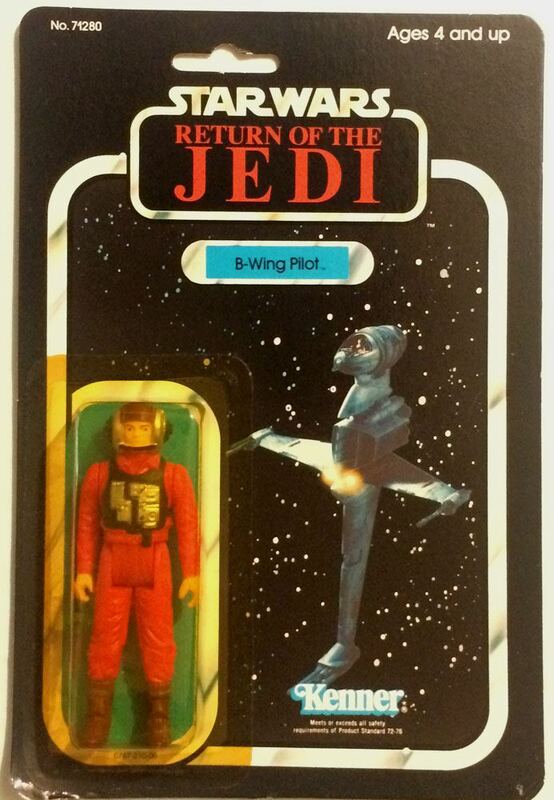 Apparently this technical change was due to Luke’s blue lightsaber not showing up against the blue sky of the first action scene. 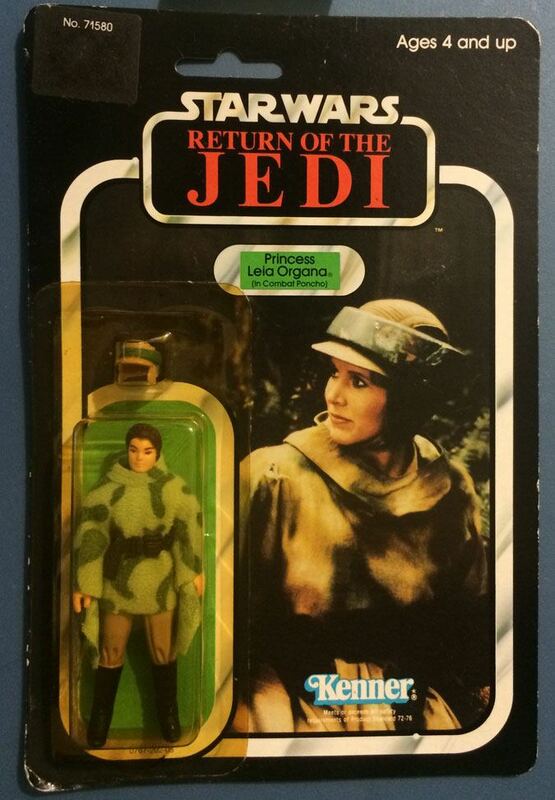 Thus the blue saber Luke is somewhat rarer than the green Jedi Luke. 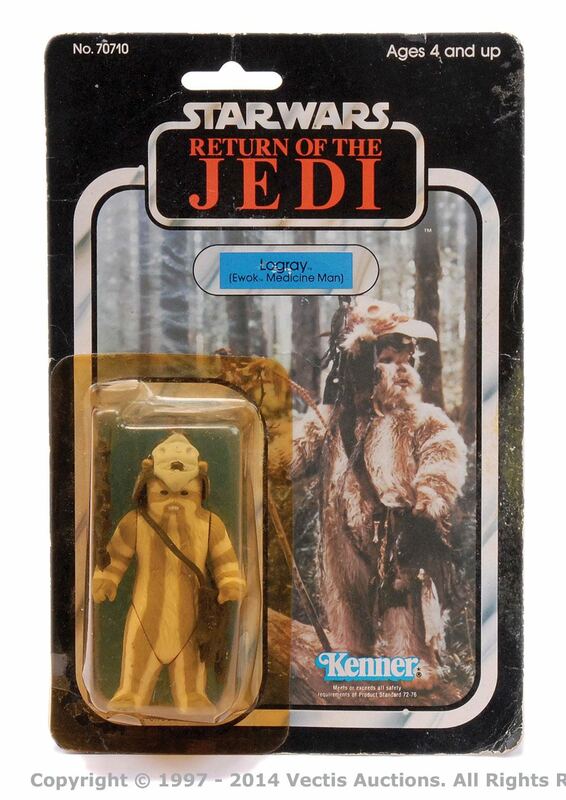 He was also packaged with either a sewn-together cape or one with a snap button at the neck. 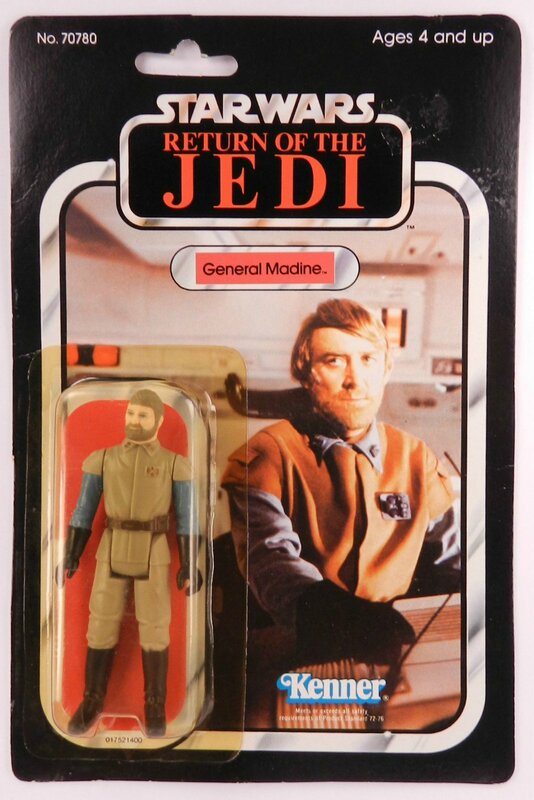 his also effects General Madine and the Rebel Commando.